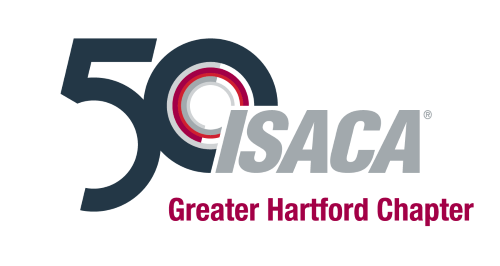 Happy Fall, ISACA Greater Hartford Chapter members, and welcome to the new and improved chapter website! 2017-2018 was a great year of events for us, and we are excited to have a new year ahead of us with a new board. First, I would like to thank Matt Conboy for his leadership through the past year. Matt has worked diligently for many years as part of the board, providing you with trainings and social events, and is now transitioning into our Past President role with the board. The board held a yearly onboarding session in late August facilitated by Bob Voss (Growth River LLC) that was focused on reflecting on our highs and lows for 2017-2018 year, and determining our go-forward strategy for 2018-2019. Improve member engagement by following through on feedback from the 1st annual membership survey and post-event surveys. Increase volunteerism by offering additional volunteer opportunities to chapter members. 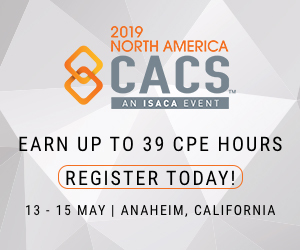 You will see increased focus on these goals in the coming months, including the creation of volunteer descriptions for the various committees, a volunteer coordinator position, and 2019 seminars scheduled based upon feedback from the surveys. We are also evaluating additional changes to how we communicate and offer education as a chapter to align to the membership survey results. When we have formulated a plan, we will communicate further. Thank you for your continued support and membership. We wouldn't be here without all of you! We hope you to see you at one of our fall seminars or for our Annual Holiday Luncheon.